Our guide, Jane was perfect��and her English pretty good. We were picked up 9am and driven to the Terra Cotta warriors museum for a tour of all 3 pits and an excellent lunch nearby. Afternoon we visited the Buddhist pagoda and beautiful park grounds. Jane suggested we watch the Tang music-dance show; and kindly arranged two tickets and drove us to the theatre. It was an excellent experience! Jane was knowledgable, professional and considerate at all times. And I highly recommend her services in Xi'an. Our day with Jane was wonderful! We had very little time in Xi'an but feel like we learned so much about the city and the sightseeing highlights. Jane communicated incredibly well leading up to our tour day, and we had so much fun during the tour. Her English is terrific and she has a great sense of humor. The benefit of her driving us (including pick up and drop off), and her knowledge of tickets, where to eat and good souvenir options were all great appreciated. We highly recommend Jane!! My family was in Xi'an and we engaged Jane for the 2 days we were there. We had a wonderful time with Jane, who strived to make this a very pleasant experience. She paid great deal of attention to detail, was very prompt and spoke very good English. In addition, Jane was very flexible on the schedule, shared a lot of local insights and comprehensively covered everything we wanted to see in Xi'an. I strongly recommend Jane's tour for folks interested in getting a complete China experience. Jane really adjusted our tour to meet our schedule. We were arriving early in the morning and couldn't check into our hotel. So she picked us up at the train station, stored our luggage in her car, and after the tour was finished, dropped us and our luggage at the hotel. She even helped us negotiate a price for a new piece of luggage from a street vendor. Given we only had 1 single day in our schedule to see Xi'an and the Terracotta Warriors, it really would not have been possible without her. Jane led a very informative, enlightening tour of the Terracotta Warriors, and sites around Xi'an city! She knows the history and culture of this area and provided a great lesson in the car on the way to the Terracotta Warriors. We even had time for a foodie tour through the markets in the city. I highly recommend connecting with Jane! Thanks for a great day Jane, and going out of your way to accommodate some spur of the moment requests! See you again!! Jan was an excellent guide. Great personality, knowledgeable about the area and the sites and always concerned with our welfare and safety. She is perfectly suited for her role and any one that uses her services will be highly pleased. Our group of 8 very much appreciated Yan's guide. Yan was fluent in English and provided interesting relevant commentary of the terra cotta exhibit while driving there. Once inside the buildings, Yan explained the significance of what we observed. She was also a great help locating someone in our group who was separated. She walked purposely in search; Our missing member was spotted by a wheel chair aide. Yan helped us select menu choices at a restaurant gave insights about other sites to visit. Yan is a superior guide who designed a personalized program after our discussion of what was important to me. Yan is smart about figuring out the best times to visit different sites to try to avoid the most visited times. Our two lunches were fun and the food was delicious. Knowing very little about the places I was visiting, our conversations were filled with interesting history and facts and I learned so much about a culture I knew very little about. We spent a lovely day with Yan (aka Jane) and her excellent driver; first visiting the Terracotta Warriors, followed by a fabulous dumplings lunch (and cooking lesson) specially arranged for us with a charming couple in their local home. Jane's English is excellent, invaluable for such as experience) and she is clearly eager and able to satisfy her travelers. We highly recommend her! We had an amazing day! Jane (aka Yan Gao) is full of information, so kind and patient, she will ensure you get the most of your visit. We look forward to coming back and will definitely want Jane to take us there again....thank you Yan Gao! Jane was great. We enjoyed seeing the Terracotta warriors in Xi'an. We learned a lot about them and why they were there. It was interesting to finally see this wonder and all the history behind the discovery and the warriors themselves. Jane was excellent and extremely flexible. Her knowledge was first class and helped us have a really great time in Xi'an. If you're in Xi'an I would recommmend a tour with Jane without hesitation. Yan was an amazing guide for our short side trip to Xi'an! Provided great color commentary & interesting facts which resonated with adults as well as our 13-year old son. Spoke perfect English; was engaging in her descriptions. Yan made it logistically easy from pick up to drop off the day of the tour, & she also even offered to wait for us at the end of our tour to drive us to the evening event she helped us reserve. Also helped arrange transfer next day to the airport. Would highly recommend her! Very pleasant tour guide, was very informative about Xian and the warriors. Pleasant company. I really enjoyed my tour. Jane was punctual and very pleasant and very accommodating and attentive to my needs and happiness. I would highly recommend her as a guide when visiting Xi'an. Jane was very professional and accomodating. We had a great time with her and would recommend her to anyone visiting Xi'an. Very informative,pleasant,anxious to please. Of note; realizing we were in a foreign country with a difficult language she took us to the airport and actually led us through the process right up to the security line which made our experience with her even more of a plus. Jane is a great tour guide. She was friendly, knowledgeable and extremely accommodating to our needs. She is a wealth of knowledge regarding Xian, its culture and history. We would highly recommend her to anyone in need of a Xian tour guide. Jane is very knowledgeable in the history of Xian and the dynasty that ruled that part of China. Very pleasant person to be with. Also witnessed some of the local charm of Xian which was very interesting. We had a fabulous day visiting the Terra-cotta Army. Jane picked us up at our hotel and gave us great background on our car ride. She is very pleasant and flexible on the tour. We had a nice lunch and after, she took us to the Muslim Quarter / Market and Drum and Bell Towers. She is very knowledgeable and I would certainly recommend her to friends traveling in Xi'an. Our guide, Jane, was superb. Her English was great and her knowledge was impeccable. She went above and beyond in so many ways. My daughter and I both agreed the money spent was well worth it. I couldn't imagine taking the tour to the Terra-cotta Warriors without someone who knows where to park, where to eat, and the most important sights to see. It was time well spent and a new friend was made. When I go back I will be requesting Jane again. Thanks to Jane, my 3 friends and I, had a great holiday. She was informative, pleasant and went out of her way to accommodate our requests. She made a last minute change to our initial itinerary due to the weather forecast for the following day, and it was a great decision as we could not have walked the City Wall in the rain. She also gave us some good restaurant recommendations for local cusine. She is definitly getting repeat business from me and my friends, and we are happy to recommend her. Jane is an excellent tour guide and I recommend her without any reservations! She loves her native Xian, and her passion for her home town shows! She was very gracious and knows her local history. While we were at the Terracotta Soldiers, she pointed out beautiful nuances through out the exhibits. Our group of 4 got so much more out of our trip due to her being our guide. She brought Xian alive through her descriptions of the places we visited. I wish we had more time with her to explore even more! We had a wonderful day with Jane! She was knowledgable and flexible and we really enjoyed her company. 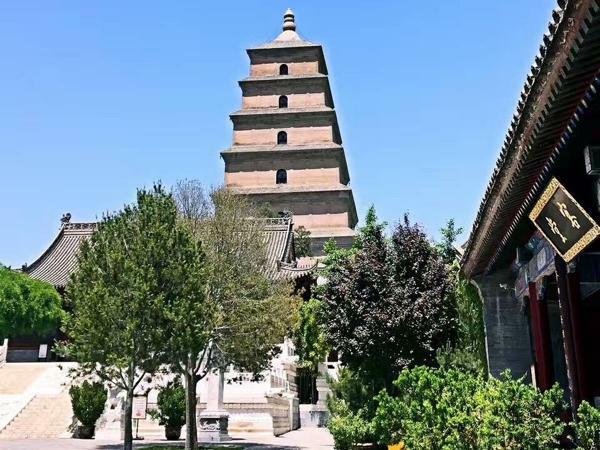 I recommend her for day tour in the Xi'an area. We really enjoyed our tour with Yan. She was extremely knowledgeable and made our visit so enjoyable. We would highly recommend Yan to anybody who is planning to visit Xi'an. We had a lovely time in Xi'an, thanks to Jane! She was very knowledgeable and spoke excellent English - we really enjoyed listening to the history of the Terracotta Warriors and the Big Wild Goose Pagoda. Jane worked through our long wishlist of sights in our rather short time in Xi'an, without ever feeling rushed, and was never pushy. She was kind enough to offer to buy us delicious persimmon cakes on Muslim Street! With Jane, we really felt like we were in Xi'an with a close friend, thank you Jane! Jane was excellent. Very friendly, thorough, attentive and informative. Easy to understand and it was a pleasure to spend the day with her. Yan (Jane)was an excellent guide. She spoke good English and was punctual, friendly and very helpful. Not only did she take us on the trip we booked, she gave excellent advice on how best to use our free time in Xian, including booking us into (and driving us to) an excellent show in the evening. I can highly recommend Yan to any potential traveller to Xian. Jane took excellent care of my family and I: on-time arrival, nice car and driver, useful guidance with tickets, flexible, ... Her tour insights and knowledge really helped to make our trip an unforgettable experience. We highly recommend her as a tour guide. Outstanding tour! Best private guide because 1)she listens and customizes your tour to what you want to see , 2) she has the actual knowledge about what you are seeing, 3) no sneaky shopping trips! We asked to end with authentic Chinese massage after a hike in Beijing 2 days before... best plan ever! I will use her again. It was excelent day with Jane. She helped us within one day to see main areas in Xían. Also we had troubles with booked hotel and Jane stayed with us after the tour and managed for us new hotel.. Thank you very much for huge support and excelent guiding.. We have got a lot of very nice experience..
Jane was great.She gave you the right information without all those dates and numbers that you Will forget anyway. Jane was our tour guide for a visit to Xian in May, 2016. She picked us up at the hotel and drove us to the Terracotta Warriors and was a wonderful guide - full of enthusiasm and information. We coordinated our tour on line before arriving in China and she was very accommodating and helpful. I would highly recommend Jane as a tour guide and would certainly use her again. Jane was brilliant, her knowledge of Xian was exceptional and she had many interesting stories to tell, fantastic lunch dining experiences (you have to try the hot pot) and just went over and above to connect with us and show off her part of the world!! She also taught us some mandarin... 5+ STARS!!!! Jane is a fantastic guide and I highly recommend her. She is friendly, knowledgable, and her English is excellent. She showed our family of 5 the Terra Cotta Warriors, City Wall and Muslim street. In between, she recommended a great local Chinese restaurant. She made the most of our short time in this amazing city. Jane provided a nice car to take us to all the places we wanted. We were especially impressed with the Terra Cotta Warriors Museum tour. She also found a nice place for us to try some local food. Yan was fantastic!! We had an excellent day and she was wonderful working with us to help us to see all we could see in our short time. When you visit Xian this tour is a must , Yanwill drive you around the area to any highlight you wish to see just ask , English , local knowledge of area and History is Excellent , we had a great day 5 Star tour Highly recommended . Jane was excellent in our preparations for our trip and developed a fantastic one day tour in and around Xi'an. Unfortunately, she hurt herself the day before we arrived and was unable to be our guide. However, I was VERY impressed with her professional and how she arranged a stand-in guide who was able to meet all of our needs. I found this to be highly professional and a strong indication of how our tour would have been handled. She is highly recommended. We had an incredible day with Jane in Xi'an. Excellent English and She was very patient with our family (My wife and I, 3 kids ages 17, 15 and 13). We had arrived really late the night before so we got off to a late start. We rode bikes all the way around the city wall, saw the large wild goose pagoda and had a very nice lunch with tea tasting that was a lot of fun, followed by the terracotta warriors (INCREDIBLE) There was a lot of security and traffic so got back really late, but she never rushed us. Yan is an excellent tour guide. We were picked up on time and treated like old friends. She was well informed and was able to answer all of our questions. We enjoyed every minute of our time with Yan! We could never had seen so much and learned so much if we'd toured Xi'an on our own. What a pleasure to have her all to ourselves along with a clean car and driver. Now that I am home I will look back upon her like an old friend. Thank you, Yan! Jane made the difference of us having a great day. She was very flexible and able to fit in all of our requests. Her English is great. And she was very knowledgable about the different places we went to. We quite enjoyed learning more about present day culture. It was a wonderful day. I would highly recommend this tour to others. Jane was terrific! She allowed us to create an itinerary of what we wanted to see (and even made suggestions) and allowed us to travel at our own pace with tons of photographs taken. Jane's knowledge of all sites, including Xi'an, was excellent, as was her English. She made a difficult day (over 100 degrees F temperature) easy with her friendly personality and knowledge of country's, area's and site's history. We made a great choice. Jane looked after myself and my disabled wife very well whilst in Xi'an being very sensitive to our needs and abilities. The tours were excellent and she was very knowledgeable. TOUR GUIDE RESPONSE: Thanks Hugh! Yan is an excellent guide. She is very knowledgable on the Xian attractions and history. Her English is great and it was more like touring with a friend rather than a stranger. The driver was really nice too. TOUR GUIDE RESPONSE: Thanks Larry! Jane was a delight. She made our visit to Xi'An so very special. She has a pleasant personality and her English is very good. She answered all our questions and followed our needs 100%. Her knowledge is widespread and she makes to best travel companion. TOUR GUIDE RESPONSE: Thanks Karin! TOURSBYLOCALS RESPONSE: The tour was led and organized by Yan; Cleo was helping traveler with contacting our tour guide. Great tour with Yan and she had no problem with our changing itineraries, organising transport for our late flights etc. Very knowledable when asked but not intrusive with information (A problem with other guides previously). Driver was also very good with clean vehicle each day. Excellent work, thank you. TOUR GUIDE RESPONSE: Thank you for your comments which I appreciated. See you next time! Jane created a custom tour for us based on the sites we wanted to see, as we flew in and out of Xi'an on the same day. She is very knowledgeable about Xi'an and the sites and shared with us some really interesting information we otherwise wouldn't have known about. She made a difficult sight seeing day easy and fun. TOUR GUIDE RESPONSE: Thank you! I enjoyed my day being with your guys as well. Have a great time! We were very pleased with the tour, our guide Jane was waiting for us in the hotel lobby a few minutes early, her English was excellent and we had no communication issues. She allowed us to go at our own pace and supplemented the Terracotta Warriors and other sites very well but also allowed us space to enjoy ourselves. She adapted to our interests, and found some cave dwellings that we wanted to see, including jumping out of the van to ask village residents for directions. TOURSBYLOCALS RESPONSE: Jane is Yan's English name. Jane was a terrific guide for the two of us. Her English is excellent and she is a very nice woman. Though she is pretty soft spoken, she is full of fascinating information and history, so stick close to her and listen carefully. At the Terracotta Warriors she allowed us plenty of time to absorb the amazing site and take pictures. She also took us to a great lunch spot and the other must-see sites of the city. As a native of Xi'an with many years of experience as a guide, I'm very glad we chose her.